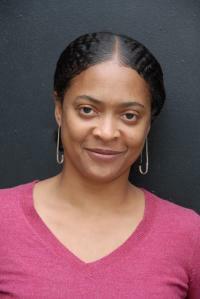 Danielle Legros Georges, a resident of Dorchester, will begin a four year-term as the city of Boston’s official Poet Laureate in January. Georges, a native of Haiti who teaches Creative Arts at Lesley University, is a published poet and translator. She moved to the United States at age 6 with her parents, who settled in Mattapan. “Mattapan had a small Haitian population when we first arrived, but it has since expanded dramatically,” said Georges, who has lived near Edward Everett Square for the last 11 years. Georges has written on a variety of topics, some of it focused on her experience as a member of the Haitian diaspora. She wrote “A Poem for the Poorest Country in the Western Hemisphere” in the aftermath of the catastrophic January 2010 earthquake in Haiti. Legros Georges work has been published in a wide variety of publications, including: Agni, Transition, World Literature Today, SpoKe, sx salon, The Caribbean Writer, Callaloo, Ibbetson Street, Salamander, Poeisis, Black Renaissance Noire, Macomère, The American Poetry Review and the Boston Haitian Reporter. In 2001, Legros Georges published a collection of poems, entitled Maroon. Georges will get an annual stipend of $2,000 and a budget of $3,000 to program events in the city aimed at “raising the consciousness of Bostonians” about the work of local poets. She applied for the position when it became available last spring and was vetted— along with many other candidates— by a committee of poets and officials, including Amy Ryan, the president of the Boston Public Library. “I’m so happy to see poetry supported this way by the city and by Mayor Walsh,” said Georges, who plans to program events at city schools. Legros Georges will replace Sam Cornish, Boston’s current Poet Laureate. Cornish has served in the position since the program was established in 2008.